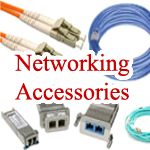 ALLIED TELESIS ATFLSBX902 networking accessories are a great way to get the most out of your existing network setup. These simple tools attach to your current networking devices to enhance their capabilities. Accessories are a cost-effective means of getting even more functionality out of the equipment that you already own.